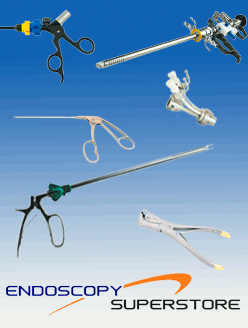 Our Precise line is Advanced Endoscopy Devices’ price competitive line of laparoscopic instruments. They are designed with the simplicity of first generation laparoscopic instrumentation, yet with the innovations of third generation instruments. The modular designs help with thorough and effective cleaning and easy assembly which makes reprocessing more simple. The shafts are insulated with high-tech polymer and the precise action of the jaws offer excellent tactile feedback. The pronounced rotator knob allows for precise positioning and an easy 360° rotation. We offer two handle options, the standard and ratchet handle, and 42 popular jaw patterns. Among the jaw patterns we have are the Hunter grasper, Mixter grasper, Endoclinch grasper, Cobra grasper, and the Metz scissor .